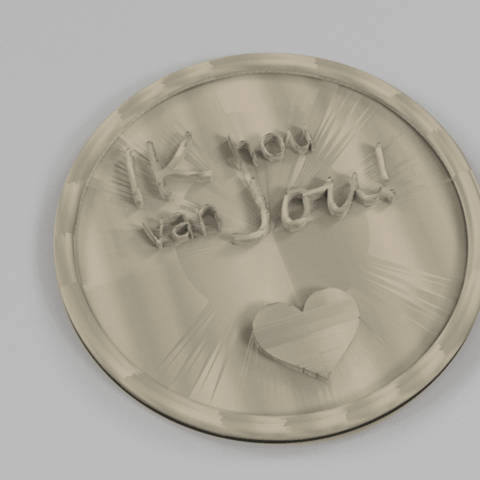 These are two models, an 'i love you positive' and 'i love you negative' file (In Dutch). The print in the picture is the negative one. 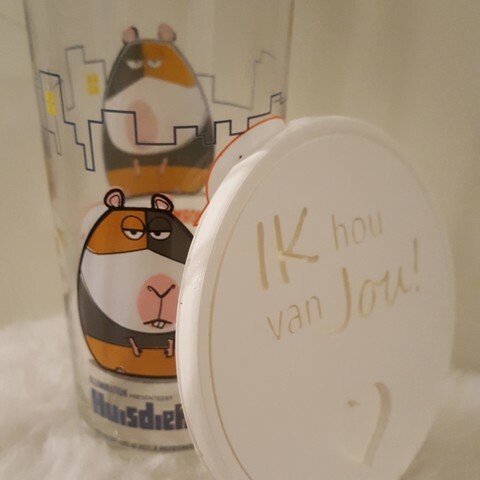 If you print it for a drinkcoaster, i would print the negative one. Cause that one provides more stability for your glass/cup. 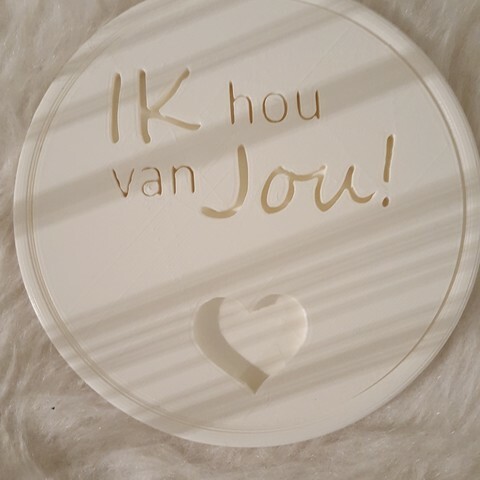 How do we say 'I love you' in Dutch? 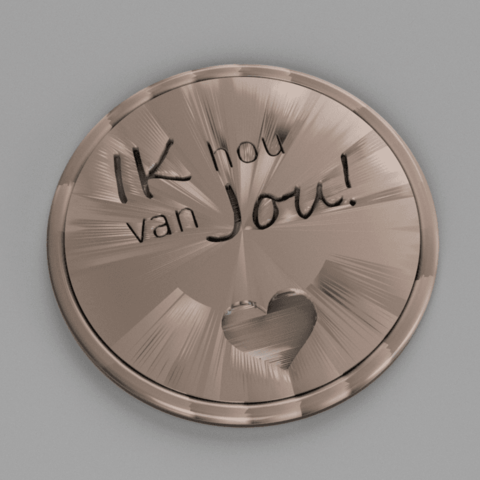 : 'ik hou van jou'. 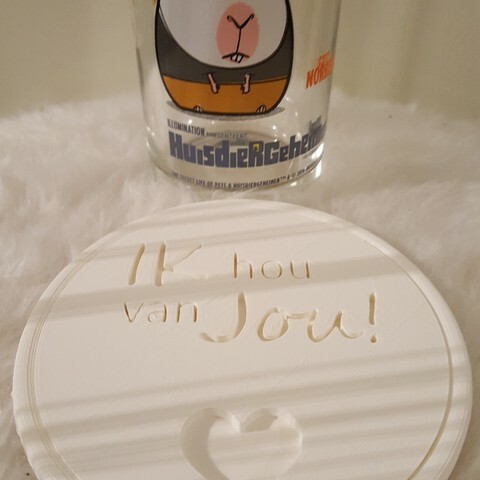 I made this drinkcoaster for my girlfriend, she is that someone special.. .do you have someone special? Print it for your mom, father, brother, sister, boyfriend, girlfriend.. .and so on. You'll make him/her very happy! I have printed this model with 0.2mm layer height. And 18% infill. 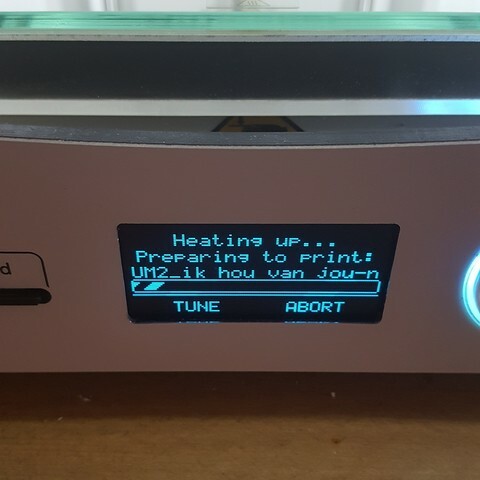 In Ultimaker white PLA. I used a brim just to be sure. I picked a logo from my browser and have put it in svg format in inktscape. Opened the svg file in blender and made it a 3D object. In meshmixer i have repaired the file; and erased some aspects. In meshmixer i have also added a coaster. Than i have merged the coaster with the picture after scaling the picture. For the negative model i have use 123design to substract the file from a drink-coaster. Saved it as a STL file and sliced it for printing. Cause the model has still some issues even after repairing it in meshmixer; i have decided to export it into Netfabb Online Service. This is an app i discovered recently after using MakePrintable. Cause MakePrintable in my opion only gives us 3 procedures of fixing an STL file and, with Netfabb Online Service the frequency of STL fix procedures is unlimited, my choice was clear. It worked well for me and i could slice the model without any problems. If you would like to know how i design a 2D picture (google) into a 3D model.